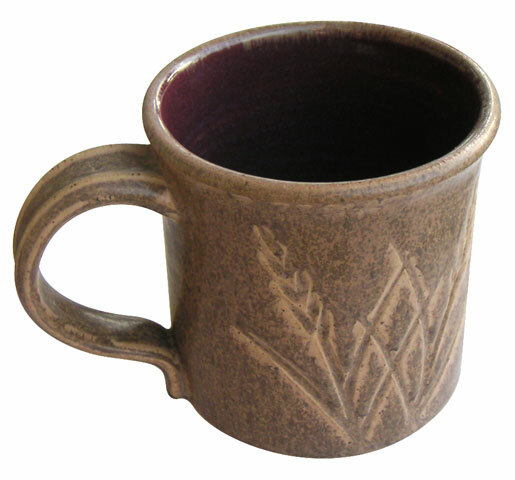 Note: For use as a straight glaze We are recommending GA6-F Alberta Slip oatmeal glaze instead, it looks better and has a better melt. Alberta Slip is already a stained material, so less colorants are needed to make darker colored glazes. Go the http://albertaslip.com. However as a second layer over other more fluid melt glazes this can work well. Be sure not to put it on too thick. For mixing instructions please see the master recipe, GR6-A. 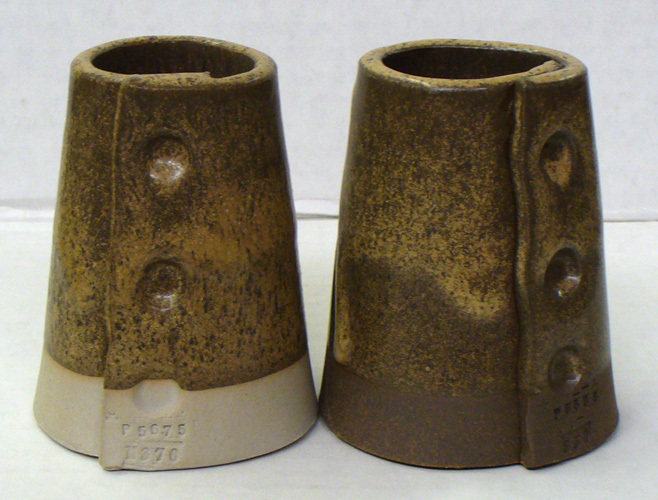 GR6-H Ravenscrag Oatmeal glaze cone 6 oxidation. 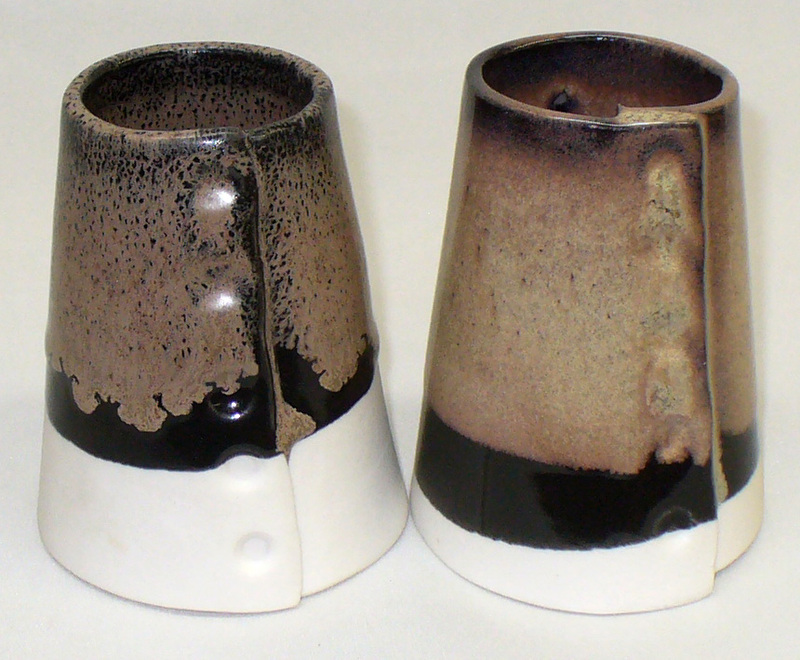 The underglaze is G1214M cone 6 black (adds 5% Mason 6666 black stain). 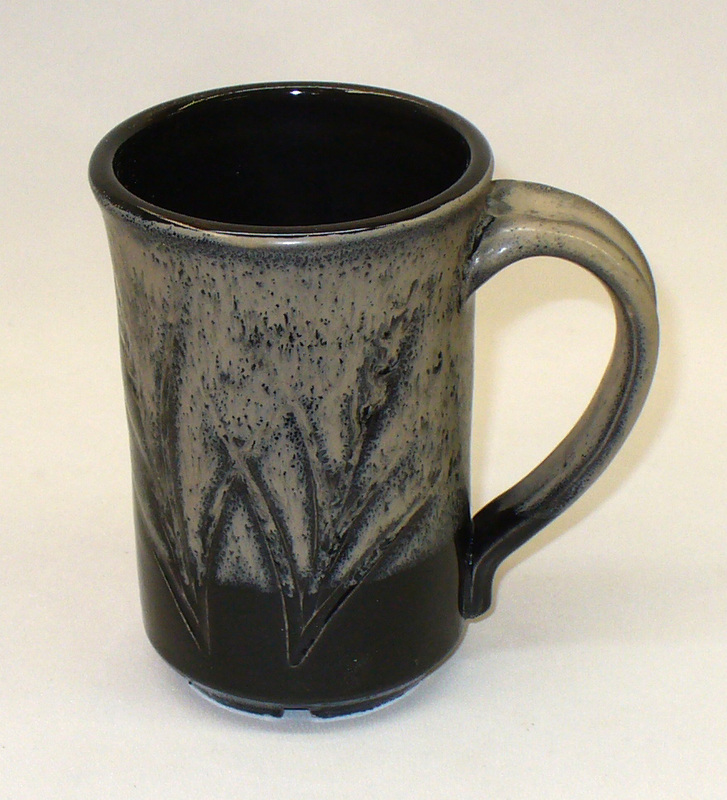 Overglaze left: GR6-H Ravenscrag Oatmeal. 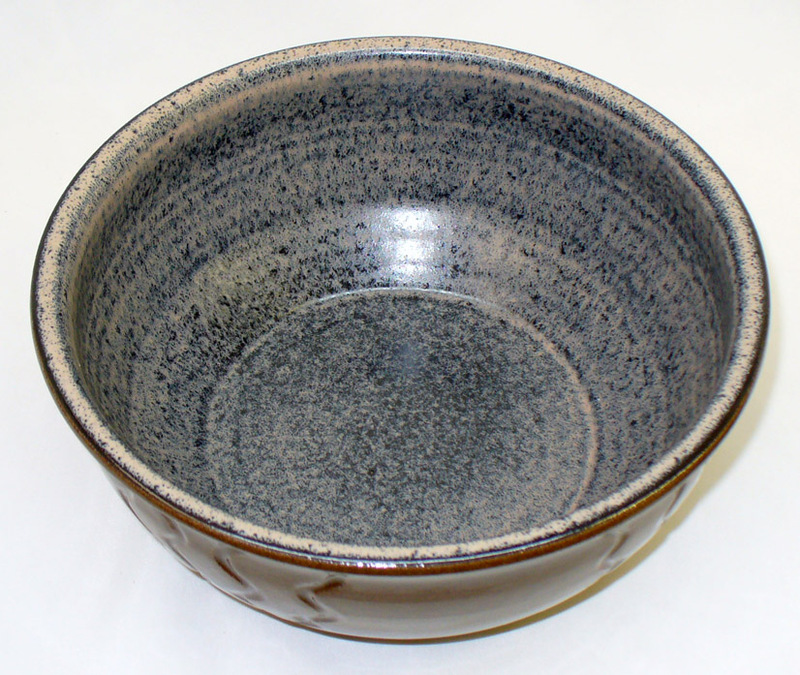 Overglaze right: GA6-F Alberta Slip oatmeal. Both produce a very pleasant silky matte texture (the right being the best). Both layers are fairly thin. In production it would be best to spray the second layer, keeping it as thin as possible. It is also necessary to adjust the ratio of raw to calcined Alberta or Ravenscrag Slips to establish a balance between drying hardness but not too much drying shrinkage (and resultant cracking). The black recipe was made using G1214M with 5% Mason 6666 stain. The oatmeal overlayer is 50% the thickness of the black. The more fluid under-black comes through leaving islands and vertical rivulets of the stiffer oatmeal. Good control of the glazing process is needed to get consistent results using this approach. This is GR6-H Ravenscrag oatmeal over G1214M black on porcelain at cone 6 oxidation to create an oil-spot effect. Both were dipped quickly. You can find more detail at ravenscrag.com. 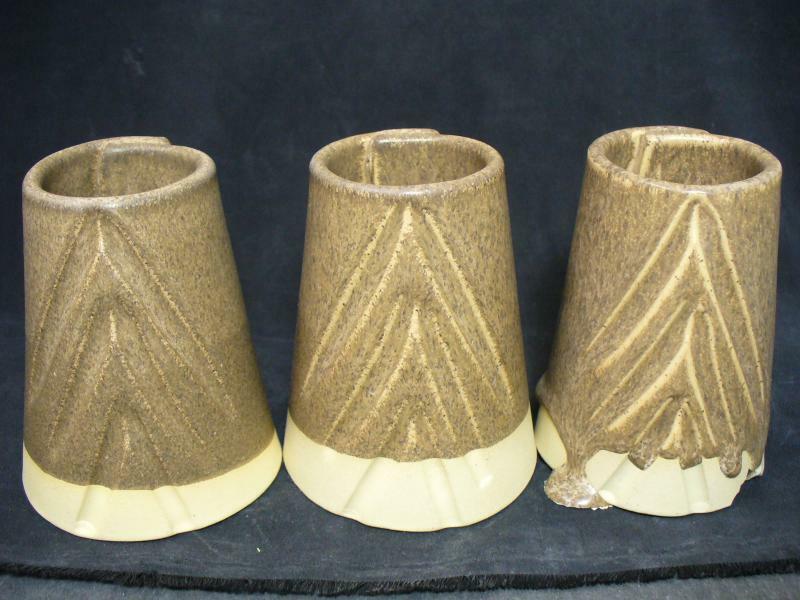 Plainsman Cone 6 Alberta Slip based glaze. It can be found among others at http://albertaslip.com.